Although Yoga is a physical, mental, and spiritual discipline which originated in India, the rest of the world has been quick to embrace its benefits. In addition to the spiritual goals of Yoga, the physical postures of Yoga are used to alleviate health problems, reduce stress and make the spine flexible. Yoga is also used as a complete exercise program and physical therapy routine. But you need an experienced teacher to guide you. Join OSMO Fitness’ Yoga Sessions and experience the holistic benefits of a traditional practice in the correct manner. Martial Arts are one of the truest forms of stress relief and fitness. Practicing of Martial Arts is a time-tested method which will help you in your physical, mental and emotional development. It not only increases stamina and fitness, but it also enhances balance, coordination, flexibility, mutual respect, concentration and above all, self-confidence. OSMO Fitness offers a range of Martial Arts classes for all levels including children. Our well-trained and experienced Sensei will help you master the skill and discipline and assist you in becoming a true practitioner. Zumba and Aerobics have taken the fitness world by storm! Not only do you lose plenty of weight and get fit, but you also have plenty of fun while you are at it! The well-trained Zumba and Aerobics instructors at OSMO Fitness will help you get in to shape the fun way. Individual or group classes could be arranged depending on your requirement. You might be a total amateur learning your first dance steps or a seasoned professional looking to brush-up your technique before a competition, the social dancing classes at OSMO Fitness will cater to all your whims and fancies. From the traditional Jive, Cha-Cha, fox-trot and Waltz to the more contemporary Salsa, Rumba, Tango etc., you will be almost a pro in no time! 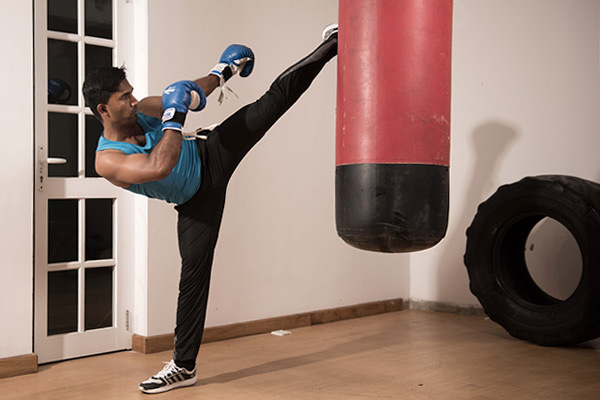 All classes are conducted by Sri Lanka’s top dance professionals and are created to ensure that your dance session is entertaining as well as effective.